MacPherson Architects Inc / 2MA is a medium size Architectural practice with a core staff of dedicated and creative people. 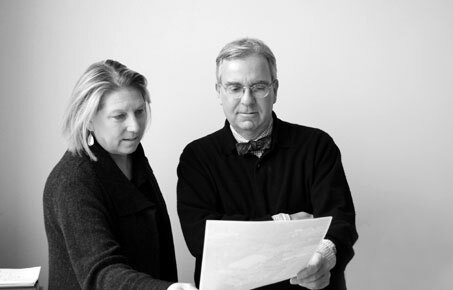 The founding Principals met while in the graduate Architecture program at Washington University in St Louis and since 1981 have collaborated professionally and academically while building a firm with a studio oriented culture. Our staff has evolved over the years to include Architects, designers and technical staff, including graduates who have matriculated through their education, mentoring, and internships. Together, we pursue the evolution of making engaging Architectural environments and share the desire of exploring and constructing built space as a creative and professional team. 2MA utilizes the services of professional Structural, Mechanical, Electrical, Plumbing, Fire Protection, Technology, Civil, Environmental, and Landscape Architectural consultant firms, which we have established strong working team relationships.